M. Marwan Dabbagh: Merit Award Winner for Best e-Poster Presentation at the 13th Asia Pacific Medical Education Conference, 2016. – 4th Year Medical Student from Alfaisal. 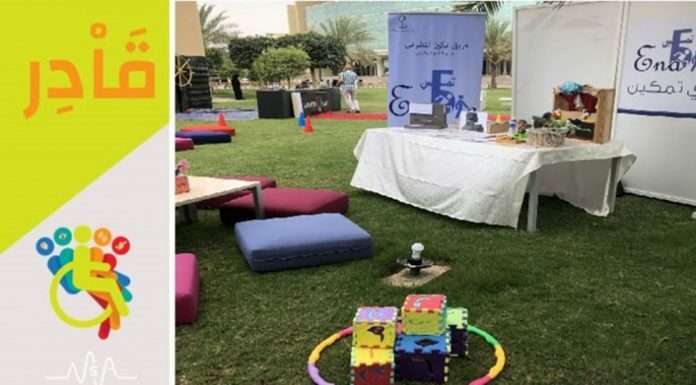 Every year, the college of medicine at Alfaisal University funds several students to go abroad and present their work on different research domains in international conferences. Marwan Dabbagh is a fourth year Dean’s list medical student who participated in the 13th Asia Pacific Medical Education Conference in Singapore in order to present his two accepted abstracts there on January 2016. He returned with the great news of winning the Merit Award for the Best e-Poster Presentation in his session where he competed with senior Medical Educationalists, many of whom held PhD degrees and decades of experience. The abstract was titled “A Call for Devising a Framework of Unified Learning Outcomes and an International Progress Test: It Is High Time”. Furthermore, he was a finalist in the Best Abstract for Poster Presentation (chosen out of 650+ abstracts, being a finalist among 40 best posters). This abstract was titled “Evaluating the Predictive Value of English Proficiency on Student Performance in Medical School”. The same abstract was recently called upon in late March by an email from Dr Dujeepa D. Samarasekera, Chairman of the Organising Committee 14th APMEC 2017, and invited Marwan to submit the abstract for publication in the supplementary issue of the Medical Education journal –online and hardcopy versions, in addition to being distributed in the coming 14th APMEC of 2017. 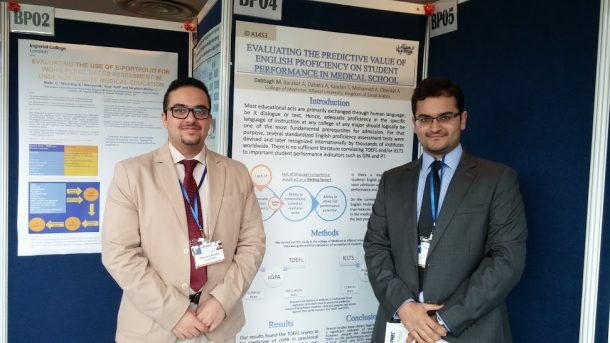 Furthermore, two other great e-Poster Presentations from home were also presented by Dr. M Faisal Ikram and Abdulaziz Barakat (a distinguished fourth year medical student as well). Their presentations were just as informative which got great attention from the audience and judges.